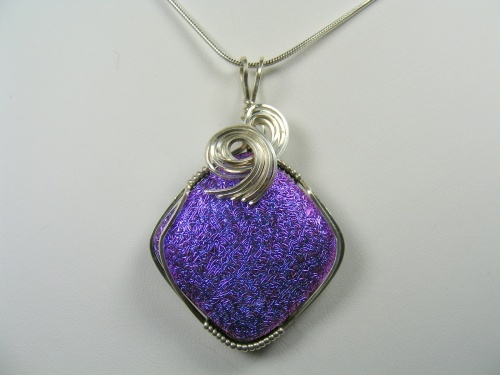 This beautiful piece oh handmade dichroic glass is extraordinarily vibrant. The color is bright pink with purple hues when you look at it one way and if you look at it differently it looks purple with pink hues. So different in color and then enhanced with sterling silver curls, piece measures 1 3/4" by 1" and comes with a sterling silver snake chain.